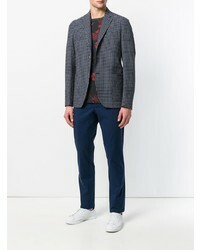 For a casually elegant ensemble, marry a grey overcoat with Etro straight leg chinos — these items play nicely together. 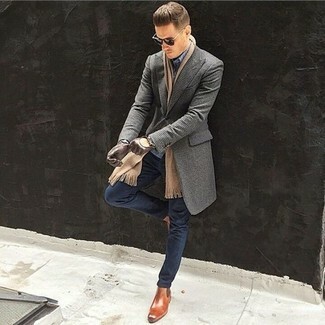 Grab a pair of tobacco leather chelsea boots to show your sartorial savvy. 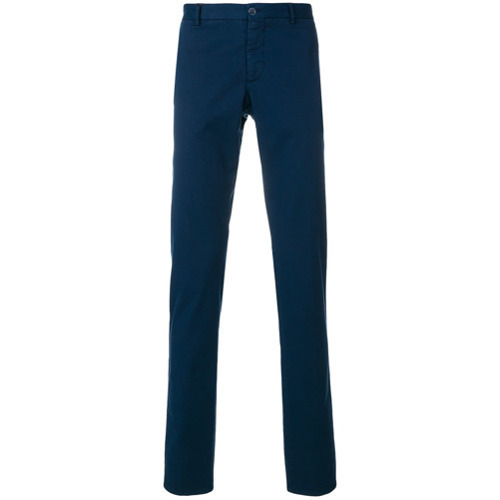 Such garments as a navy overcoat and navy chinos are the great way to infuse some elegance into your daily repertoire. Choose a pair of navy slip-on sneakers to make the ensemble current. 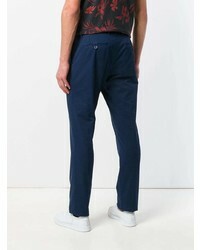 For a smart casual ensemble, marry a black overcoat with Etro straight leg chinos from farfetch.com — these pieces the workplace beautifully together. Opt for a pair of tobacco suede desert boots to make the getup current. This pairing of a brown leather biker jacket and Etro Straight Leg Chinos from farfetch.com is extremely easy to recreate and so comfortable to work throughout the day as well! For footwear, stick to a more casual route with beige suede athletic shoes. 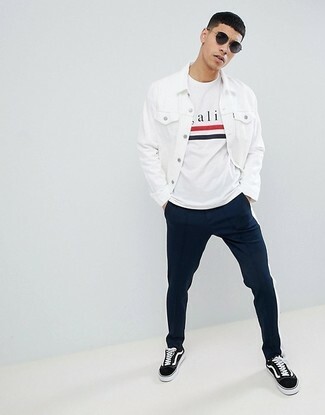 Make a white denim jacket and navy chinos your outfit choice for an easy to wear, everyday look. Make your outfit more fun by rounding off with black and white canvas low top sneakers. If you're on a mission for a casual yet dapper outfit, reach for a charcoal crew-neck sweater and navy chinos. As well as very comfortable, these pieces look incredible when paired together. To add more class to your ensemble, complement with dark brown suede oxford shoes. For a casually elegant getup, go for a brown wool blazer and Etro Straight Leg Chinos — these two items go really nice together. Up the ante of your getup with brown leather monks. 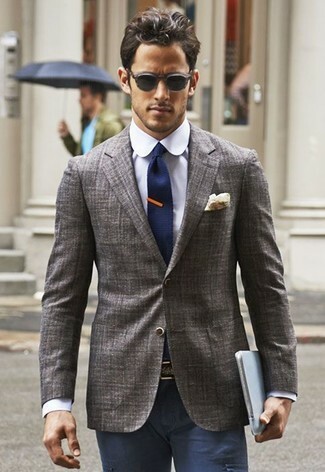 This outfit clearly illustrates it is totally worth investing in such menswear essentials as a grey check double breasted blazer and Etro Straight Leg Chinos from farfetch.com. 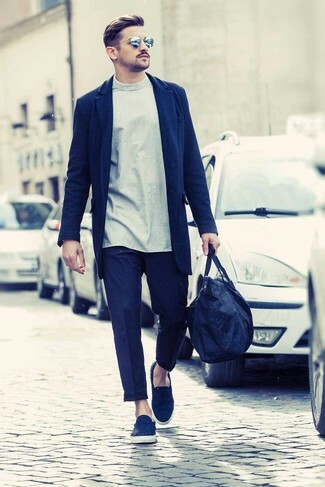 Get a bit experimental when it comes to shoes and complete this look with brown suede tassel loafers. As you can see here, being a dapper dude doesn't require that much effort. 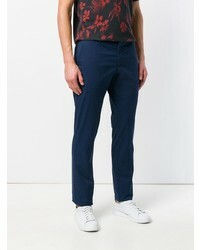 Just consider wearing a grey blazer and Etro navy chinos and you'll look awesome.